Use the form below to inquire about Heritage Villa at Vaithikuppam in Puducherry . 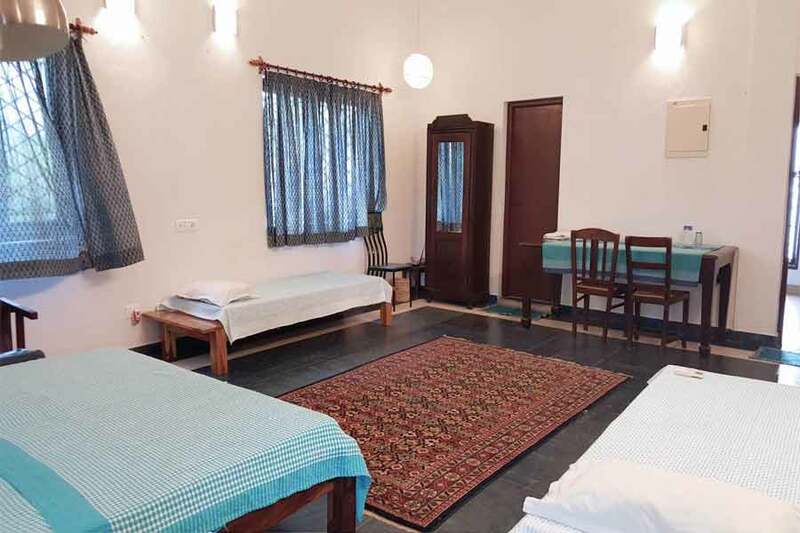 Use the form below to reserve for Heritage Villa at Vaithikuppam in Puducherry . 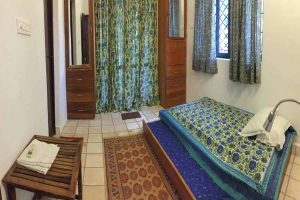 This room is on the ground floor and has an en-suite bathroom, deck overlooking the garden and the pool and a double bed. The common kitchen on the ground floor can be used by the guests. This room is on the Ground floor and shares a common deck with the Lotus Room. It has a single bed with another pull out bed and an en-suite bathroom. 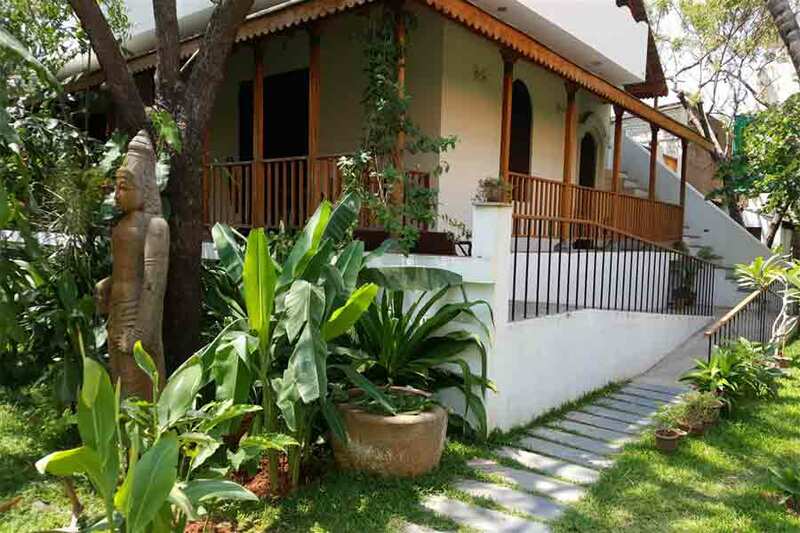 This centrally located Heritage Villa at Vaithikuppam in Puducherry sits amidst a large garden flanked by a pool. This Heritage Villa at Vaithikuppam in Puducherry with its high columns, wide arches, and a courtyard topped off by a Madras terrace roof is reminiscent of an era when Puducherry was a French colony. 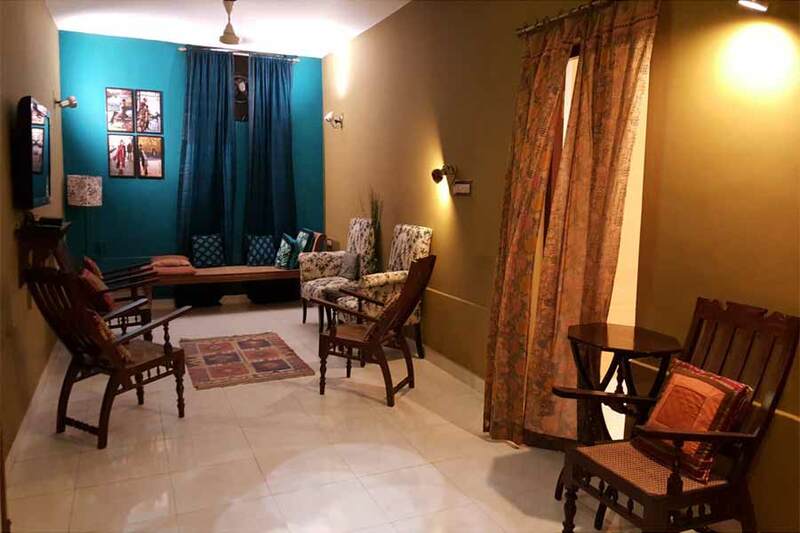 The serene atmosphere and comfortable lodgings are conducive to rest and relaxation. Free wi-fi is available in the common areas and the use of laptops is permitted as long as you use headphones. 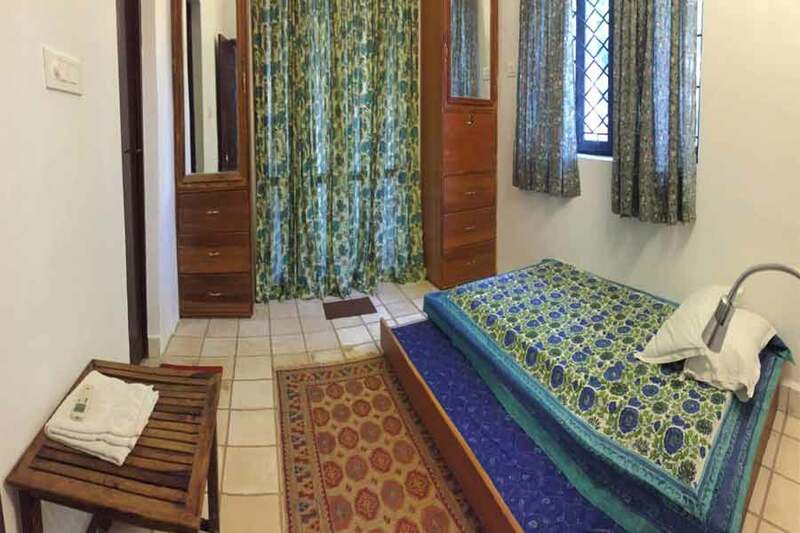 There are two studios suites and four private rooms for you to choose from. 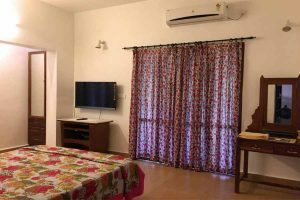 There are two rooms at this Heritage Villa at Vaithikuppam in Puducherry on the ground floor and each with its own bathroom. 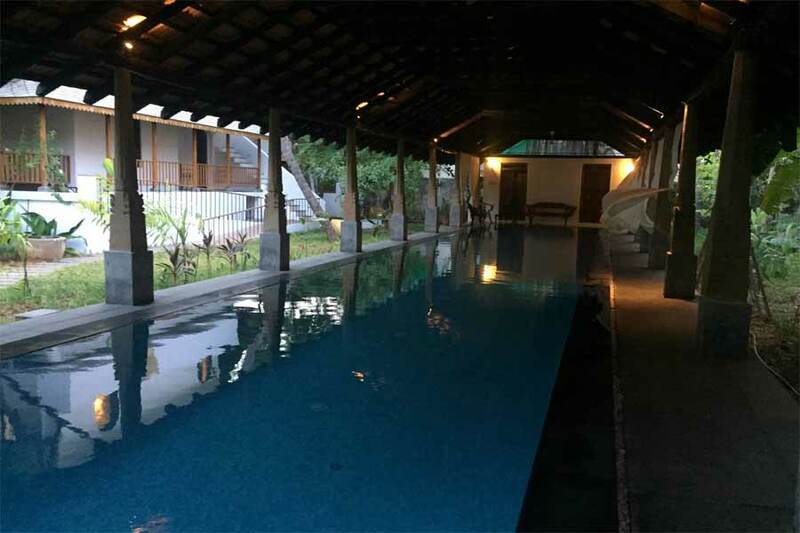 These air-conditioned rooms share a common deck which overlooks the garden and the pool. There is a common kitchen on the ground floor for use by the occupants of these cozy rooms. The two rooms on the first floor of this Heritage Villa at Vaithikuppam in Puducherry are spacious and perfect for families or large groups. 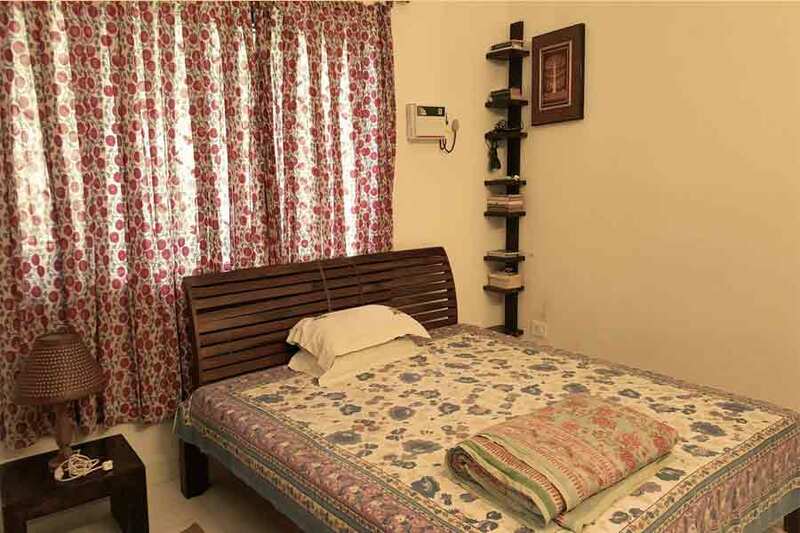 Each of these is air-conditioned and equipped with a kitchenette as well as a balcony. Of the three rooms on the lower ground floor or the basement, one is air-conditioned while the other two do not have air conditioning. 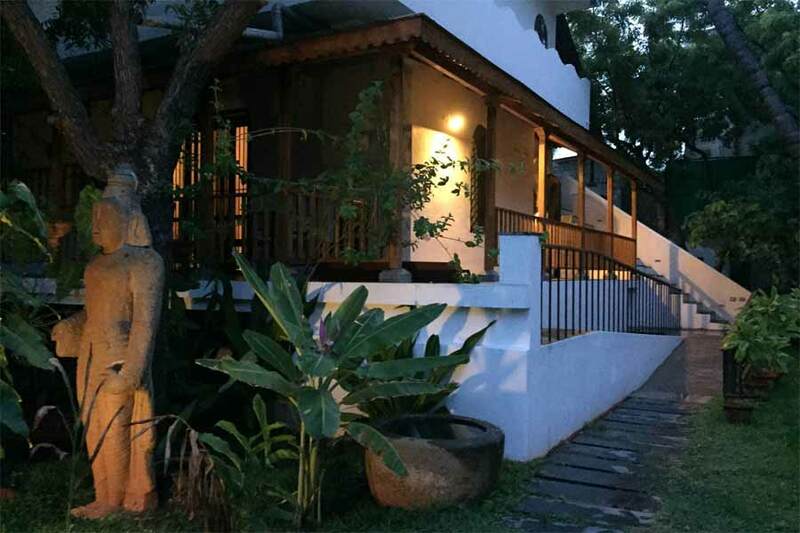 The furniture at this Heritage Villa at Vaithikuppam in Puducherry comprises of antiques while the furnishings are natural, authentic textiles. The House is a no-smoking zone, it is also the perfect place to derive some creative inspiration. And should you feel like stepping out of this quiet abode for some exploration, there are plenty of cafes and restaurants in the vicinity not to mention the touristy attractions. The seaside and promenade is also just a five-minute drive away. Foreign tourists will also need to have proof of identities such as passport and valid visa. There is no lifeguard on duty hence guests will swim at their own risk. Children are NOT allowed in the pool. As only two people can swim at a time, you need to block your time in advance. Once we confirm the availability, you will have to pay 25% advance for off-peak season (1 April to 11 December )and 100% advance for holiday season (12 December to 31 March). There are certain busy pockets in between the ‘off-peak’ season and we reserve the right to ask for 100% advance during these periods. The balance will be payable at the time of check-in. Guests are requested to pay in full prior to or at the time of check-in because we do not have a 24-hr desk to take payment at the time of check-out. Refunds due to any breakdown or absence of service is discretionary and based on merits. We reserve the right to admission. Once your booking is confirmed, please let us know the expected time of arrival as we do not have a 24-hr reception desk and someone will have to receive you if you arrive after 10 pm or before 7 am. All bookings that have been made on credit card which are subsequently canceled, will forfeit 4% transaction fee charge irrespective of the notification period mentioned below. Cancelled 60 days before check-in: Full refund. Cancelled 60-30 days before check-in: 75% refund. Cancelled between 30 days to date of check-in: No refund. Early check out -No refund. Cancellation one month before check-in: Full refund. Cancellation between 30 days to date of check-in: 25% advance will not be refunded. Please note that service tax amounts will not be refunded under any circumstance as the same is submitted to the Govt. Any review/reconsideration of above cancellation/refund terms will be at the discretion of the management based on specific situations and occupancy levels during booking period. If you seek more adventure than leisurely laps in the pool, yoga sessions, and massages, then there is plenty for you to see and do in the erstwhile French colony. Places you can check out in Pondicherry include Aurobindo Ashram with its stunning architectural design and focus on integral yoga. Though situated by the sea, Pondicherry doesn’t really have a beach, unlike most other Indian coastal towns. Instead choose to take a stroll down Goubert Avenue, popularly known as Beach Road. Since vehicular traffic is banned on this street from 6 pm to 7.30 am, you can enjoy the breeze as you wander at leisure. Some other places that might interest you are the Pondicherry Museum, Puducherry Science Centre and Planetarium, and Jawahar Toy Museum. The cuisine here is a mix of French, Tamil, and Creole influences which means there are many culinary experiences that await you. Step into one of the many cafes and pubs that dot the town when you want to simply chill out. There are plenty of small and big clothing stores that offer colourful and ethnic options if that’s more to your liking. The nearest international airport from Pondicherry is Chennai International Airport, which is located at a distance of about 150 km. Bangalore Airport (also known as Kempegowda International Airport) is located about 370 km away. For those who prefer a train journey over flying, Bangalore railway station is 313 km away while Chennai railway station at 150 km is the nearest rail hub and Villupuram railway station is at a distance of 35 km.. You can drive down to Pondicherry after alighting at one of these stations. Pondicherry has a railway station of its own as well with connectivity to cities like New Delhi, Chennai, Tirupati, Mangalore, and Bangalore. Pondicherry enjoys good road connectivity to some of the major cities and towns like Bangalore (316 km), Chennai (150 km), Coimbatore (380 km), and Erode (280 km). If you are driving down from Bangalore, you need to take NH 48, NH77, and NH 32 to get to Pondicherry. Hosur, Krishnagiri, Chengam, Chittoor, Ranipet, and Tindivannam are some of the towns connected to Pondicherry by road.